Santiago Calatrava, the maker of fantastic skeletal structures that swoop and soar, has faced an onslaught of legal woes in the wake of his early-2000s building boom. Unfortunately, several of his experimental designs have had construction issues, leading cities and clients to seek damages. The latest is a Spanish case that claims Calatrava received $3.6 million for a convention center that he never built. To add to the architect's resume of bad publicity, he failed to show up in courts, NPRreported Thursday. Calatrava's convention center troubles were published the same day as reports arose of the decommissioning of Frank Gehry's proposal for a Performing Arts Center at the World Trade Center. According to the New York Times, "its progress has been stalled by fund-raising issues as well as by delays in the completion of the new transit hub under construction at the site." 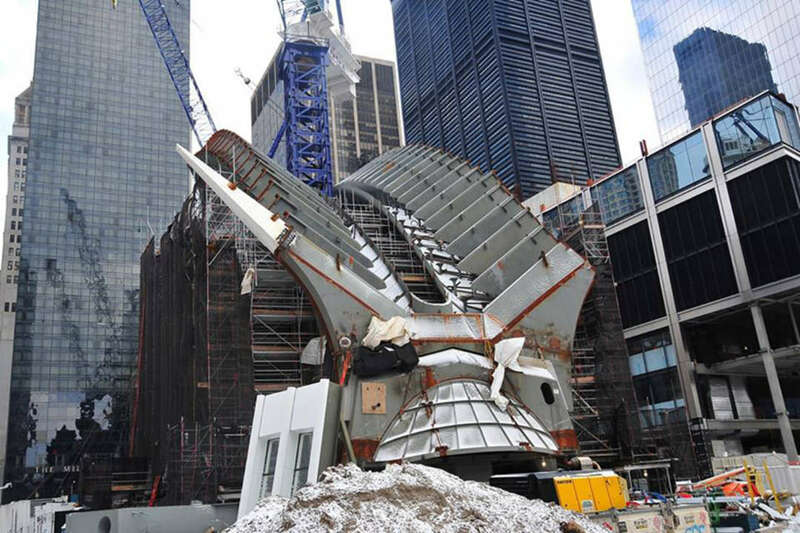 Gehry and Calatrava have both encountered strife at the WTC site. 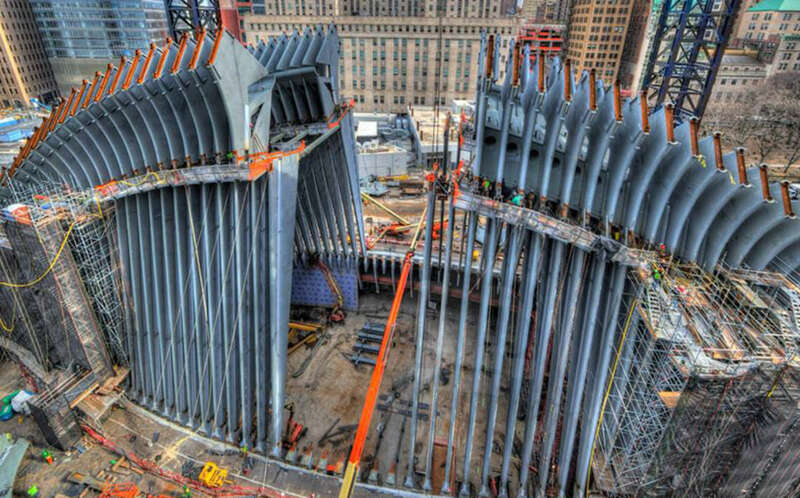 Calatrava's WTC PATH station is currently eight years behind schedule and $2 billion over budget. Gehry's scheme was part of Daniel Libeksind's original master plan for the site. The building was to be a series of cascading boxes planted with rooftop trees. 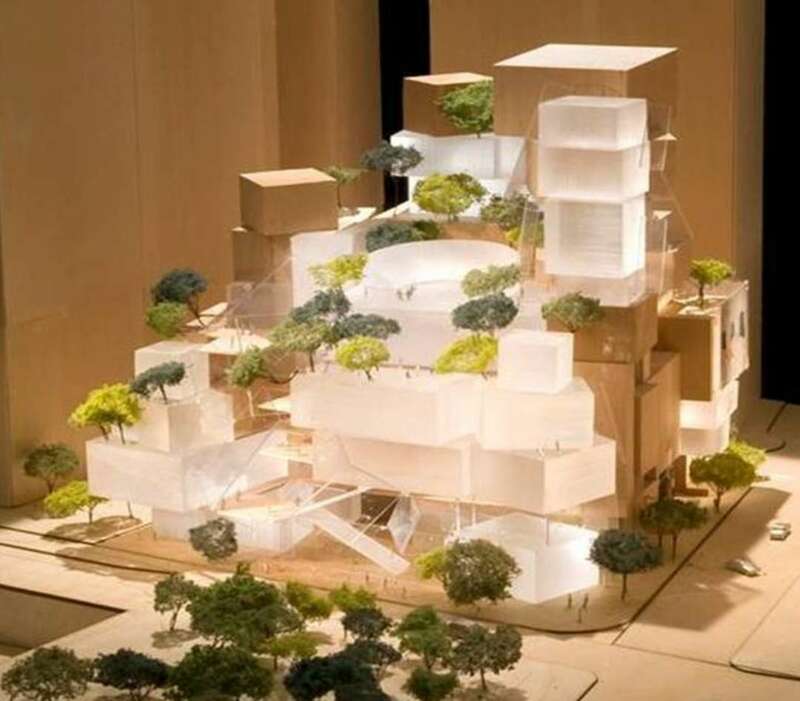 A shortlist of three finalists has been selected sans Gehry; however, questions remain whether the $400 million complex is even a feasible idea, in light of the sheer number of performance venues in the city. 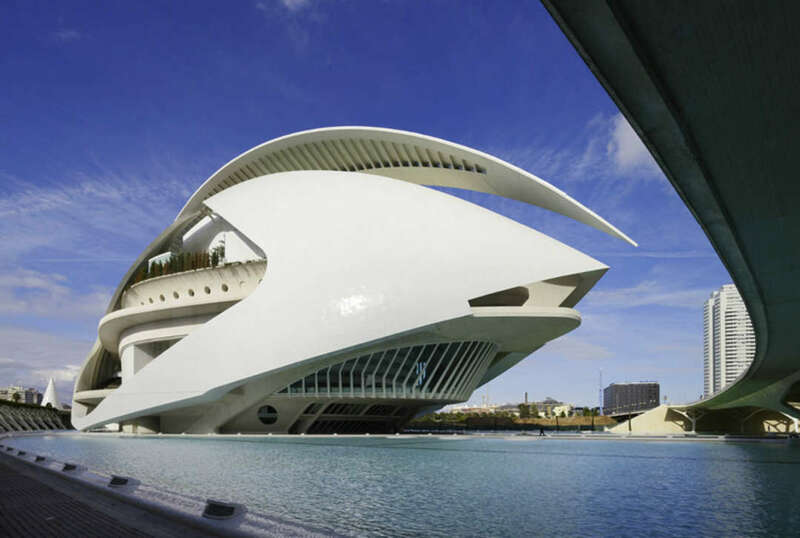 Across the pond, Calatrava has been taken to task for several buildings in his native Spain. Bodegas Domecq in Rioja sued Calatrava and the construction teams for a leaky roof. They are seeking €2 million from each party to repair the roof, which is causing humidity issues in the winery and damaging business. The City of Oviedo received $4 million from the architect for their flying-buttress-clad city hall. In Valencia, falling mosaic tiles and a peeling facade on the city's new opera house have elicited another reprisal. In 2007, Calatrava himself sued and lost against the City of Bilbao when they hired Arata Isozaki to fix access problems to his footbridge there. The bridge has garnered the unfortunate moniker of Wipeout bridge, as its glass tiles are especially slippery when wet, and breakages have cost the city over $300,000 to replace. The best thing for Calatrava to do is just stop, regroup, and reinvent himself for the post-2008 world by channelling his considerable talent to come up with useful, practical, and budget-friendly designs that won't get him sued and ravage public funds. It's the least he can do.